Every year I do it. I make resolutions that I am determined to keep, only to find myself easing back into my old, comfortable way of living. Last year I was going to lose weight. The year before, I was going to lose weight. The year before…well, let’s just say there’s a definite trend. This year is different. This year I’m putting my foot down. Yep, this year I am BOYCOTTING resolutions. That’s it, you heard it here first. A woman swearing off the need to announce on January 1 that she is going to lose weight, travel the world, climb a mountain, fix the economy, wash her hair every day, cook 10 meals at home a day, whatever. This year I’m taking a stand! Now saying this, that doesn’t mean I can’t set goals, right? I mean, it’s good to have goals. One personal goal I set when I started running was to run a half-marathon. Check…currently in training and signed up to run in April. Another goal was to try to be more frugal at home. Check…already couponing up a storm, using homemade laundry soap, and cutting back unnecessary expenses. 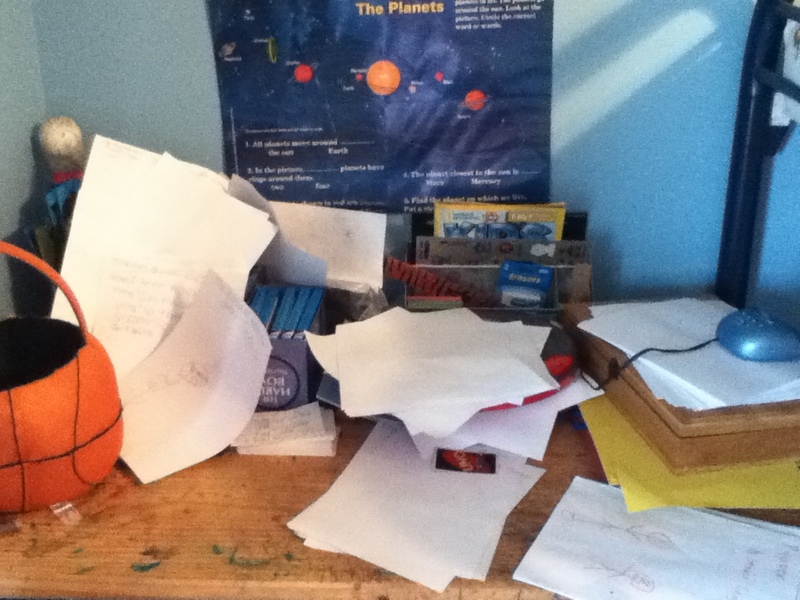 My last goal was to finally get this house organized and…hmm…that one didn’t seem to get started. As you can see by my linen closet, organization is not my family’s strong point. So, I decided to buckle down conquer my overwhelming phobia of “a place for everything and everything in its place” and just get organized. 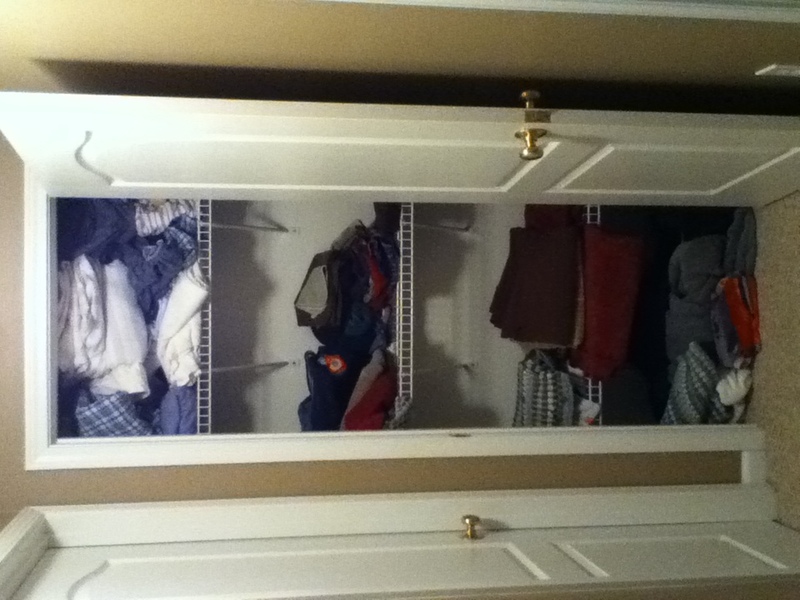 My obvious first choice, the linen closet, got a complete facelift. First, I emptied the entire closet (my husband LOVES when I do this) and sorted my linens by category: bedsheet sets, towels, hand towels, wash clothes, blankets, and tablecloths (these got moved to my new buffet as you will later see). 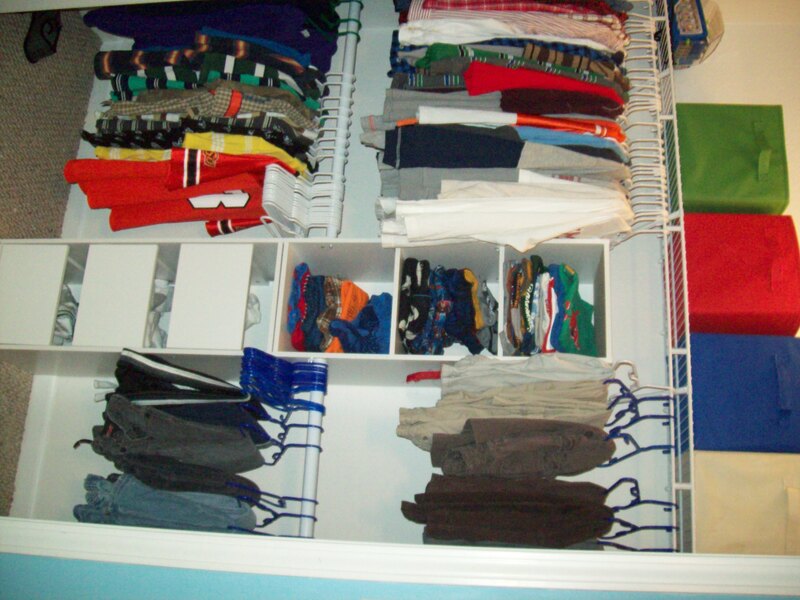 Then, I gave the closet a good dusting (you’d be surprised how many dust bunnies are hiding in your closet). Next, I inspected my linens closely for any damage or mismatched sets. After cutting several mismatched linens into shop towels, I was finally ready to put things back together. I had bought some clear plastic containers for this project at a local big box store for about $3.00 each. I wanted to use clear bins so I could see my items when looking for something in particular. 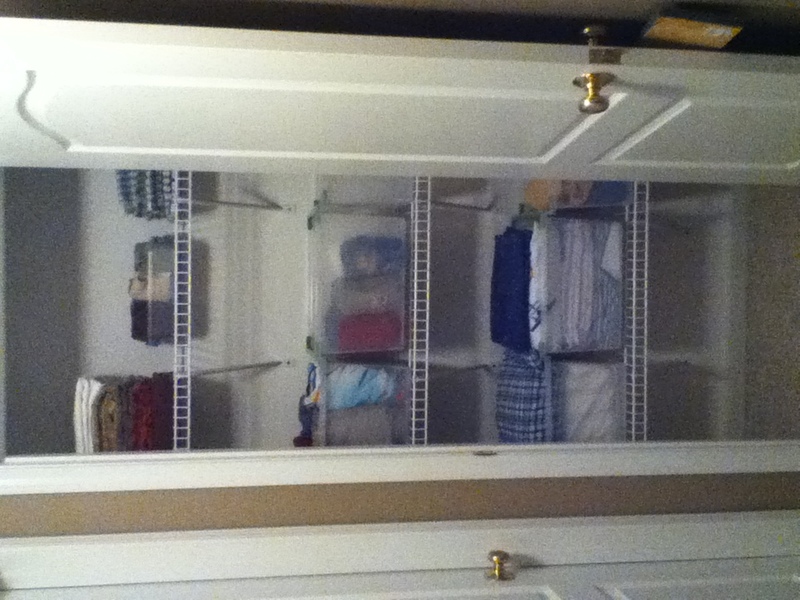 Next, I added my linens to the bins. 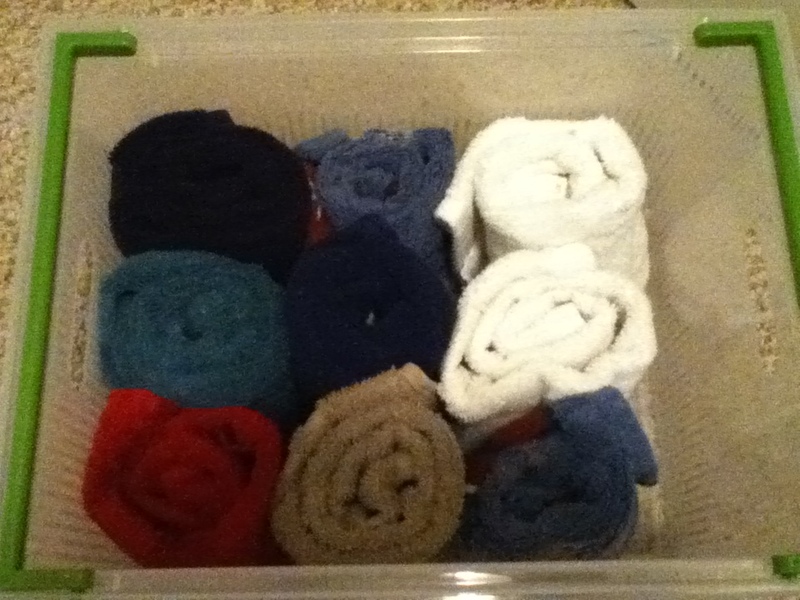 I rolled my towels for maximum space-saving, and stored my sheet sets in their pillowcases. I also placed them on the shelf according to use and reaching ability of small children. The last thing I did was label my bins so that anyone folding and putting away laundry would know exactly where to put them. P.S. 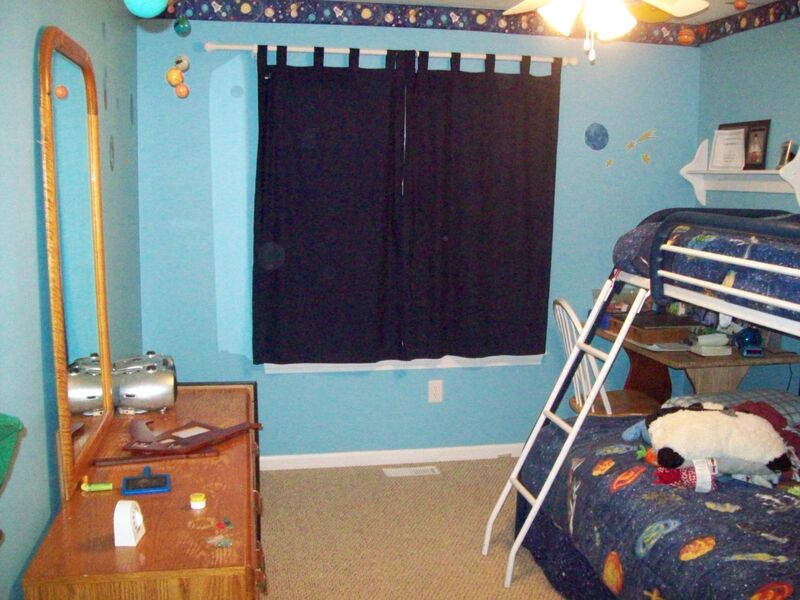 I’m currently working on my oldest son’s room and it is such a big project I will have to give you weekly updates. Look forward to more closet organization, headboard making, homemade curtains, and more (all on a very strict budget). I can’t wait to share it with you!